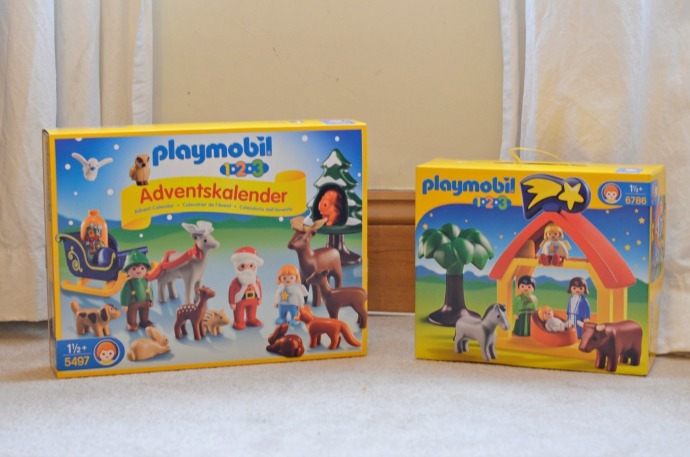 If you are looking for an alternative to the chocolate advent calenders, then check out Playmobil. They have a choice for older children (recommended for age 4/5 upwards) as well as one in the '1,2,3' collection which is designed for children 1.5 - 5 years and therefore perfect for my little ones. Everyday a new piece is uncovered which means by Christmas day you have a whole play set. 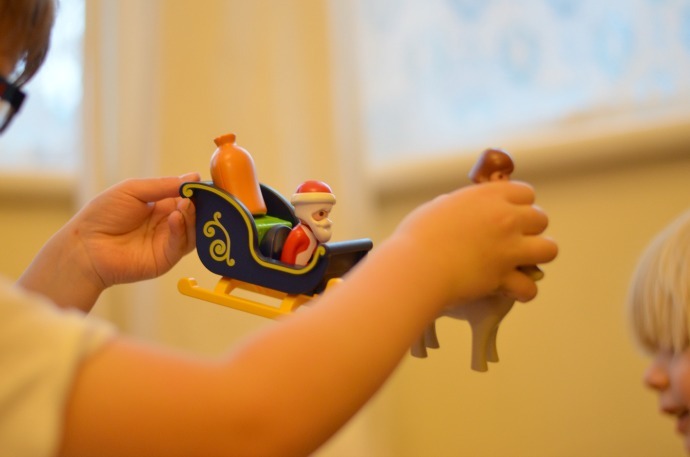 I sneaked open the back of the packaging to take a look at it all, and the boys got to 'test' the toys before they were put away ready for December 1st. 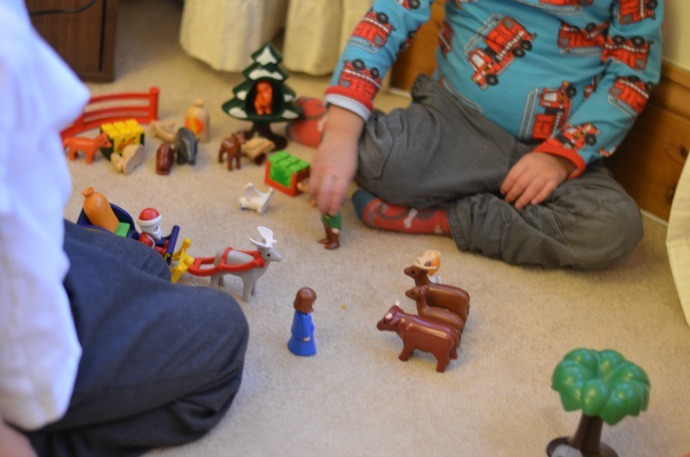 We know already how fantastic the quality of playmobil is, how well it endures, how it encourages imagination and how it is the perfect toy for me to leave Dylan and Archie with if I want to spend some time with Finn as they get lost in their play. 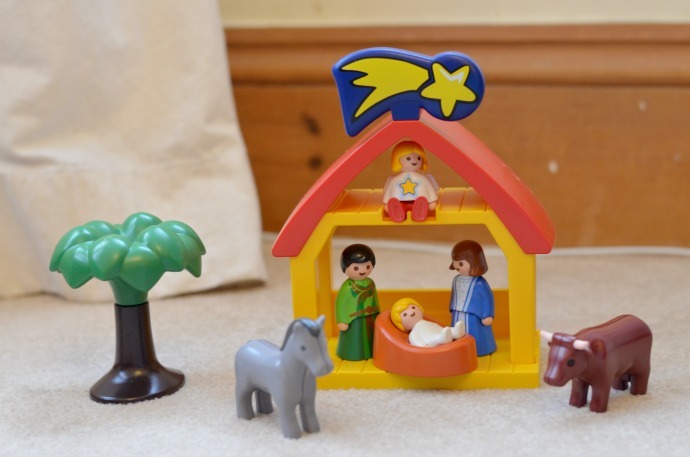 These pictures also contain another Christmas set that features a simple nativity, also from the 1,2,3 range. 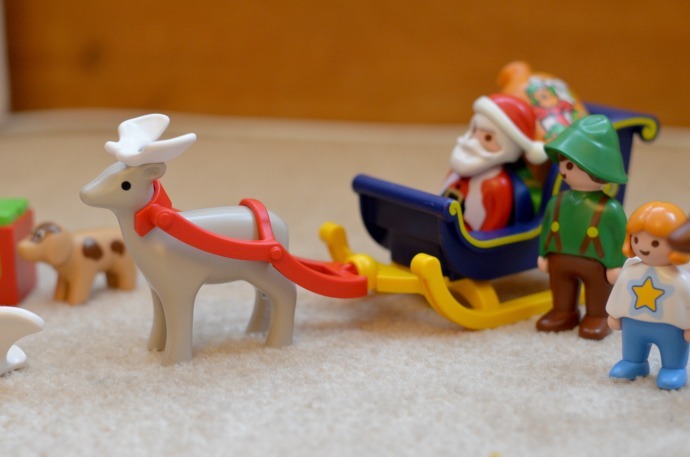 Yes, Mary is riding on the reindeer, straight after Father Christmas had brought baby Jesus a dinosaur present. We were sent these products as part of our role as Playologists. Be quick if you want to get one before Christmas!